GV of the former Greyfriars Bus Station site taken from the Grosvenor Centre car park. Picture: Kirsty Edmonds. Based on an initial brief published in November 2015 and the extensive consultation which followed, Carter Endurance was selected in September 2016 as the preferred bidder. The proposed scheme included student accommodation and retirement apartments, residential flats to let, a 110-bed hotel, restaurants, retail kiosks, a gym, a cinema or trampolining facilities and a new coach station. But it has now emerged the developer is unable to deliver the housing which forms a vital part of the agreed proposal for the residential-led project. A report to next week’s cabinet (December 6), based on advice from legal counsel, recommends that borough council members approve an end to the negotiations on the basis that Carter Endurance has not been able to "achieve the original offer". Councillor Jonathan Nunn, leader of Northampton Borough Council, said: “The developer has been unable to deliver the proposed scheme but that has provided us with the opportunity to take a fresh look at things. He added: "It's most likely to go all the way back to the drawing board but the good thing is we have had good interest from cinema operators and hotel firms, although not so much in the residential aspect." What exactly will now be built on the site - and by whom - is far from clear. The existing proposal could yet be delivered by Carter Endurance, or another - or even several other - developers. Alternatively, a new proposal could be designed and be taken on by a new developer altogether. "We are taking the risk out of everything we can," said Cllr Nunn, explaining that the the council do not want to get involved in developments which lack a level of certainty, particularly with regards to costs. The council wants to know exactly how much a project will cost before moving forward, something it is unable to do presently given Carter Endurance's inability to build the homes. 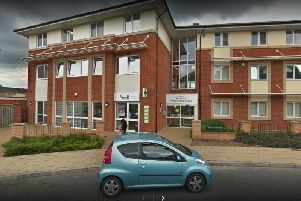 One organisation who might be able to deliver the housing is the borough council's own Northampton Partnership Homes. It was not in existence when the Greyfriars proposal was finalised, but has now emerged as a viable option. This, in turn, could generate income for the council as the Government awards 'new homes bonuses' to authorities when they build new houses. It would also help the borough council take steps towards reaching lofty Government housing targets. Also of potential benefit to Northampton Borough Council is the Chancellor's recent assertion of the need for more housing across the country, which could lead to Government funding for the construction of homes becoming available. Ian Gray, the interim director of regeneration, enterprise and planning, said: "We need that site to be developed so let's explore other ways of funding it." He added: "We want to retain an element of control and allow the private sector to do what they're good at." The council has already carried out some preliminary work on the development and through this was able to gain intelligence and knowledge, which they say will be of use while discussing Greyfriars with potential developers, as well as help shape how the project will be delivered. What the council do not want is to end up with a partial development of the site, and they are looking for the best possible return on its investment. Northampton Borough Council will look carefully at the economic impact a new Greyfriars would have on the rest of the town, as it is conscious of not wanting to draw people away from the Market Square area. One way to ensure the development remains connected to the town centre, rather than become an isolated island in between the Grosvenor Centre and Lady's Lane, would be to transform the Greyfriars road into a pedestrianised section. This would link with the Grosvenor Centre in a 'plaza style'. Before work of that nature could take place a Highways assessment would be necessary to see whether it would be viable and what kind of impact it would have on traffic in Northampton. When it came to putting a timeframe on the development, Cllr Nunn said: "It is difficult to be clear at the moment but we want to move on it."